Over the weekend I had the fortune of competing alongside some of New Zealand's best professional golfers in the annual Recreational Services Masterton Eketahuna pro-am. 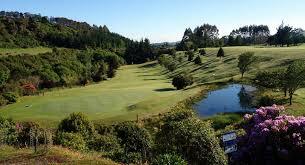 34 amateur teams were drawn to play with the pro's, which for most players provides a rare opportunity to play with such talented players.The most unique part of this event is the opportunity for the pro's to play one of New Zealand's true country gems - Eketahuna Golf Club. Positioned very close to the boundary of Manawatu Wanganui and Wellington districts the club actually splits its loyalties over the two districts when it comes to interclub competition. The men play within the Wellington district and the women play in the Manawatu Wanganui competitions. For this reason we still consider Eketahuna to be very much part of Manawatu Wanganui. 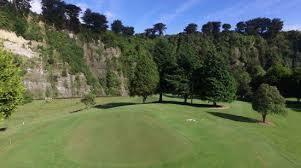 Therefore we encourage and recommend the Eketahuna course as a must play experience. 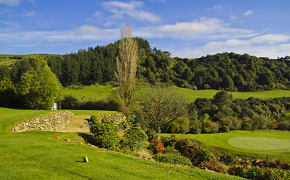 Located just 45 minutes out of Palmerston North, it is an ideal course for anyone to head out to for a casual round. Green fees are just $20, and the course is extremely well kept for most of the year - especially considering that it has natural mowers - sheep - helping to groom the course. Yes there is fencing surrounding the greens to keep sheep off, but this just seems to add to the unique golfing experience. My Japanese professional playing partner B.K Sobhani, and his father and caddy were wowed by this attraction - something they had never experienced before. The course is positioned in a picturesque country setting and the cliffs adjacent to the course provide a spectacular selfy opportunity - if this is your thing! The par 71 layout, provides a challenge to even the professionals with some tough dog-leg driving holes and smallish yet undulating greens. Missing greens often presents tricky short game challenges. For the professionals the reachable par 5's, and a few drivable par 4's does present scoring opportunities, however the course position in a bowl between the township and the cliffs presents some interesting wind conditions which swirl constantly. Picking the wind direction proved to be at times tricky, and the northwesterly wind on Saturday, unusually did not present much downwind assistance. The club members, most of whom also act as valuable volunteers for the club, provide fantastic hospitality, and will always make your visit to this course welcoming and enjoyable - they certainly did on Saturday, and with my past experience at the club. Last year I met with a few of the volunteers, regarding funding and opportunities for their junior programme, and was very impressed with their level of commitment to this vital activity to help encourage the local community to play our great game. The Eketahuna members are a great example of a club with a think big attitude to host an annual event on the NZPGA Order of Merit. It shows that any type of club, big or small, can attract top professional players to their facility, along with a full amateur field to enjoy a great event. The greatest part of the event for me, is seeing the enjoyment the amateur players get from participating on such a big event on the local golfing calendar. For the record, Justin Morris, in particular, did manage to tame the course with a quality 7 under par 64, a great score considering the windy conditions. Many thanks to both the Eketahuna and Masterton clubs for putting on such a fantastic event. I definitely recommend both courses to everyone that has yet to experience them. For the golfers of Manawatu Wanganui whether you are members of other clubs or casual, put Eketahuna down as a course to play during 2019. It is a true country gem!